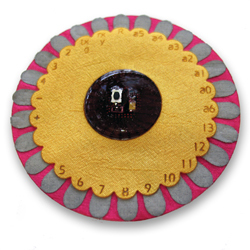 Do you haveÂ this flower shaped board with built-in bluetooth module in other colors?Â How about the Paisley shaped one? Leah Buechley isÂ a PhD student in Computer Science at the University of ColoradoÂ and she’s part of theÂ Craft Technology Group. her research explores the intersection of computational and physical media, focusing on computational textiles or electronic textiles (e-textiles) - soft, flexible, fabric-based computers.Â Her work in e-textiles includes developing a method for creating cloth printed circuit boards (fabric PCBs) and designing the commercially-available LilyPad Arduino system, which enables novices to build soft wearable computers. What I love about the work she does is that it makes it accessible to technophobics, eliminating the technical look and feel current electonics have. 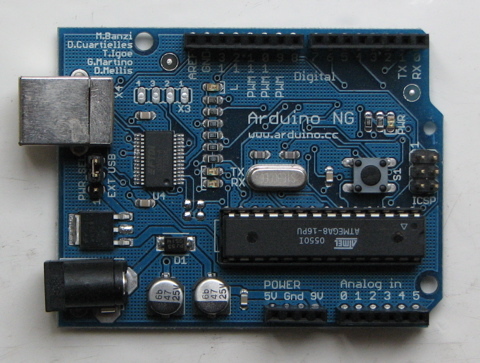 it looks like an object of desire rather than a misterious, cold artefact most electronic parts look like. The aesthetic qualities of her electronics appeal to people on the emotional level rather than the rational one. Can you imagine embedding Lilypads into the fabrics in quilting class and making it reactive when you cuddle with your sweetheart in it? I can. Tom Igoe is one of the gurus of physical computing. 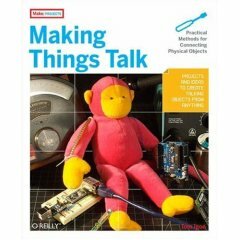 He published books about it - “Physical Computing: Sensing and Controlling the Physical World with Computers” in 2004, and “Making Things Talk: Practical Methods for Connecting Physical Objects ” in 2007 - which are a good read and give very practical information about what to do, how to do it, and what to take into account when doing it. He has an assortment of blogs and websites, which are amazing resource for everything phisical computing. Examples, explanations, advice and more. To explore them click here.